Will We Take Another Beating? This process by which the establishment wing of the GOP attacks grass roots targets should seem familiar to readers. It should also sound familiar to anybody who has ever worked in law enforcement, social services, or even listened to a few tapes of 9-1-1 calls. Millions of women and not a few men have lived through the self-imposed nightmare of returning again and again to an abusive spouse(or significant other) in order to retain some semblance of normalcy and predictability in their lives. They just want the beatings to stop. They just want it to end, but so desperate to hold onto some part of their lives, they frequently return for another dose, often ending in tragedy. After all, haven’t we conservatives behaved with freakish precision like sufferers of what had been known formerly as “battered wife syndrome?” Do you doubt me? 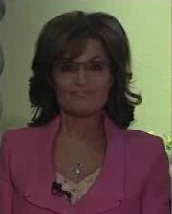 Imagine Karl Rove in a plain-white sleeveless undershirt. You get the picture. With respect to the Republican Party and its miserable, corrupt establishment, who among conservatives hasn’t contemplated some version of these notions in order to trick themselves into holding the nose and walking back in to the booth to pull the lever for the GOP’s preferred candidates? Right. Me. You. Virtually all conservatives have gone through this one or more or even dozens of times, and each time, we knew with virtual certainty what would be coming: Another attack by the establishment on the grass-roots, or another surrender by party leadership to the leftist agenda would soon be in the offing. Once the electoral objectives are met for the cycle, we and our issues are discarded and off we go with the next Republican-led effort at big government statism, and further support of a purely leftist agenda. It happens so often that we cringe now when a Republican hand is raised, expecting it to smash down on us as it has done so many times before. 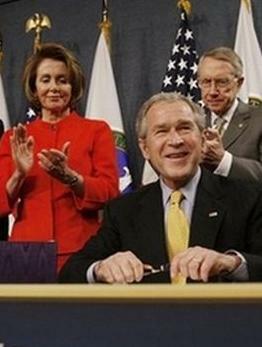 Many were outraged by the actions of the GOP establishment in 2011-12, but in the end, how many of us did their bidding anyway? We keep coming back. Even a dog learns that if you recall him, only to bash his nose with a rolled-up paper, approaching you is something to be done at his peril. Eventually, the dog won’t come back at all, and no amount of false praise or treats will make him return when called because he has learned recall is the prelude to another beating. 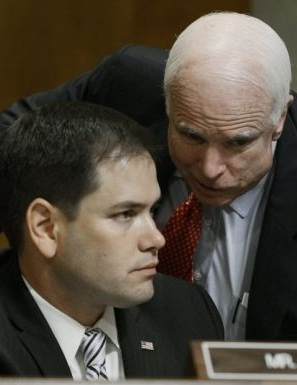 Are we conservatives not more able to recognize our antagonists than are dogs? 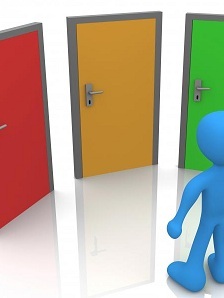 Do we not possess the requisite self-esteem to leave? What we have done is to reinforce the behavior of our batterers. It’s gotten so bad that fleeing for a night or a week to the political battering victims’ shelter of the blogosphere or talk radio to voice our displeasure will no longer be enough. It’s time finally to press charges and stand up for ourselves and go, never to return. Yes, there will be hard times as a result, but the long-run dangers of staying are worse, and at some point, for people who claim to be concerned with the welfare of their children, shouldn’t we correct the environment in which they will be growing? 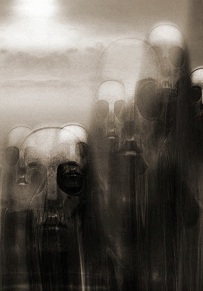 I say “we must go.” Otherwise, how many black eyes will we endure? How many betrayals? How much infidelity must we accept? We might claim that we had no choice but to stay, or to return, but after the tenth 9-1-1 call to Rush Limbaugh, our whining begins to lose its impact. Do you think the GOP establishment hasn’t noticed our regular return to the fold, irrespective of what they do to us next? We fall for their sweetened tone because we want to, and because it’s harder to strike out on our own than to come back and live in terror of our next beating at their hands. It’s time to recognize that it is our fear of the uncertainty that fuels our repeated returns, but also that in so doing, what we are guaranteeing instead is a certain result that will only grow worse. We must ask instead how much we value such predictability, if it amounts only to the certainty of our next beating. It’s time for conservatives to reject the continued abuse at the hands of their tormentors in the Republican establishment. It’s time to break the cycle. Note: It’s not my intention to minimize domestic abuse, but instead to demonstrate how conservatives have responded to their abusers in the same way many victims of real domestic abuse react to their plights. I don’t intend to compare the horrors inflicted on such victims with the political victimization that goes on the Republican party, except as an illustration of how dependent conservatives have become on their abusers. The immediate results of the political context I’m discussing in no way measure up to the terror under which victims of domestic violence live, but I will point out that in terms of the country and its future, the dire consequences of permitting the abuse of the GOP establishment to continue will be no less severe on a national basis. In 1980, Rove chose Bush. Consider his dubious argument about supporting “the most conservative candidate who can win.” It seems the most conservative candidate did win, but it wasn’t Rove’s choice in the primary in 1980. Instead, Ronald Reagan won, and he was far more conservative than Rove’s choice. Of course, that’s not all you need to know. In 1976, Ronald Reagan was fighting with Gerald Ford for the GOP nomination, and Karl Rove chose a horse to ride in that race too. Ronald Reagan? No, ladies and gentlemen, Karl Rove was all aboard for Gerald Ford. Gerald Ford lost to Jimmy Carter, and so it was true that once again, Rove apparently picked “the most conservative candidate who could win,” though neither did. 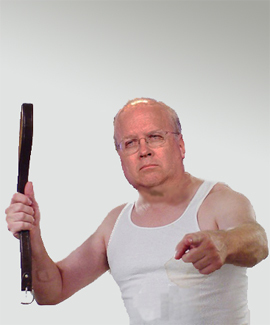 That’s the truth about Karl Rove. 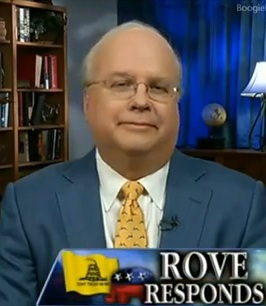 In 1978, Karl Rove ran the losing George W. Bush campaign for congress. In 2000, his candidate nearly lost, and did lose the popular vote. In 2004, his candidate barely squeaked by a very weak John Kerry. 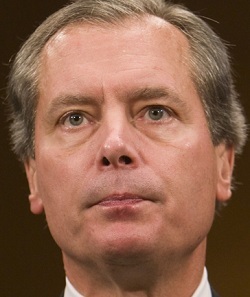 In 2006, his strategies lost the House and Senate. In 2012, he backed Romney early and often, and Mitt Romney lost. 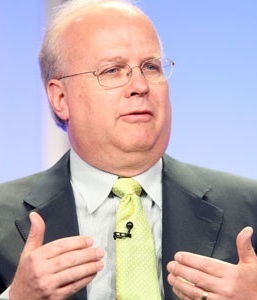 Karl Rove’s record of picking winners is abysmal. He clearly doesn’t know a conservative from a turnip, never mind a winner. You must stop falling for his strategies, and as Mark Levin pointed out on Friday evening, Rove is attacking Steve King(R-IA) incessantly and dishonestly. I repeat my sentiment to those who hope to reclaim leadership in the GOP: If you want any hope of winning, Karl Rove must go. There should be no mistake about what Mark Levin believes, or even the vast reach of his influence over the debate about government. Many left-wingers and not a few establishment Republicans accuse Dr. Levin of being a yelling mad-man, but that ignores the extent to which he influences the public debate. 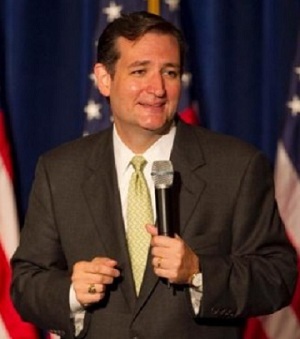 At an event last year in support of Ted Cruz, in the run-off that made him the Republican candidate, one attendee asked quite simply: How can we stop the construction of Ameritopia? 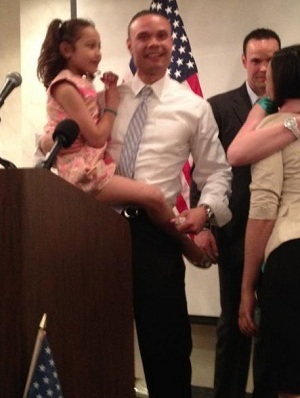 What was stunning wasn’t the fact that the Senate Candidate knew full well what the questioner meant, being a friend with Dr. Levin and a campaign season guest on his show, but that all around the room, heads nodded up and down, because they knew the meaning of the question too. 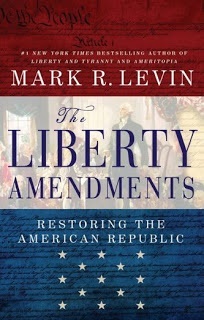 When the Senator answered, he demonstrated an understanding of the implications with respect to the US constitution, but unlike your typical rally of Democrats, the audience understood his points in part because some of them are lifetime students of our civil society, but also because among them were many listeners of Mark Levin’s show. Dr. Levin holds a special contempt for so-called RINOs, or as I have recently dubbed them, “Mini-Dems.” They don’t believe in conservatism, or near as one can tell, much of anything. 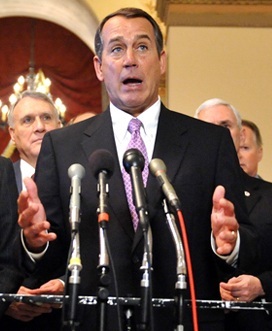 Instead, theirs is the worship of a brand of vague pragmatism that ends in Republican defeats. Of course, Dr. Levin realizes the RINOs aren’t going away, but here I think the larger point is that the underlying strategies and arguments that comprise RINOism are dead, as demonstrated by their repeated failures in election after election. Levin’s reach into the blogosphere is deep and wide, as almost daily, some blogger somewhere, much as I’m doing now, is posting a vital clip from his show, and this acts as a spark for debate, not merely between left and right, but more importantly in the wake of last November’s election defeats, between and among Republicans and conservatives. This is because Levin spares no feelings, or at least not many, in making the essential and incisive points that establish the conditions of the debate. This may explain more than anything else why Levin’s show has grown while others have remained fairly static. He engages one’s mind, and he demands you follow the logic. He makes no apologies for supporting the Tea Party, or the conservative wing of the party, as Levin came up in politics in the watershed year of 1976, campaigning for Ronald Reagan. Though Reagan lost that election, it set the stage for his nomination and election in 1980, and Levin was there to learn the critical lessons. 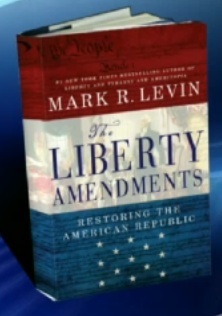 Most listeners to Levin’s show comprise a group of studious, committed pupils, attending a a constitutional classroom in which the principles behind the founding of the country and the framing of its constitution are the daily lesson plan. 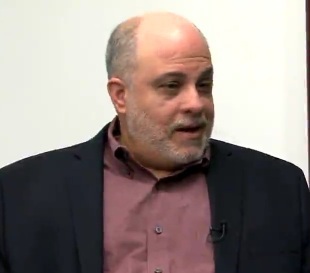 What’s more, while it’s relatively early to draw this conclusion, as conservatives are searching for answers to their current political morass, it seems as though more are turning to Levin for the answers. 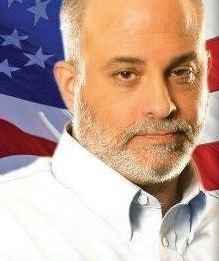 It’s not as though Levin claims to be an all-knowing font of wisdom on what ought to be conservatives’ course, but his determination to fight and keep moving is enough because what becomes plain to his listeners is his unfailing commitment to see the battle through, whatever form it takes. Part of this may owe to the fact that in the wake of the 2012 election, conservatives are looking for a strong, articulate leader to make their best case for liberty, but I believe it’s a good deal more substantive than that. Levin seems almost instinctively to understand what the left will try next, which may explain why the stories he reads on one day so often become the topic of discussion throughout the blogosphere on the next day. It’s been true on this site, almost from its inception, and on many occasions, I have brought readers audio from Dr. Levin’s show. My readers will have no idea on how many occasions Dr. Levin had stolen my thunder by covering a stories that I had in draft form as Levin’s show began, only to later discard them because on topics of substance, he generally leaves so little to be explained. That’s fine by me, but it highlights another important point about Levin: He’s plugged-in, and he works tirelessly outside the confines of his show, not merely to prepare for his daily three-hour lesson in liberty, but because in other efforts, he’s at the tip of the spear. The Landmark Legal Foundation is his other instrument of our republic’s defense, taking up cases of constitutional import on behalf of a grateful people. This level of involvement means that unlike so many other talkers, he’s in the trenches with us, and often as the point-man out ahead of us, spotting danger and directing the initial engagements. Given all this, you’d think more Republican politicians would heed his advice, but where Dr. Levin is fearless, all too often, elected officials won’t follow his lead, out of a fear frequently masquerading as an overabundance of prudence. Levin understands this, and he often asks politicians questions that he then suggests they not answer, instead completing the thought on his own, knowing the precarious state of any official’s office. 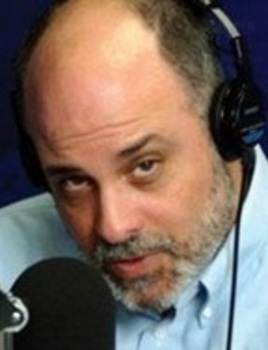 Levin’s show is probably also the largest network of plugged-in conservative activists in the general right-wing sphere, and his audience is unashamed to lean on politicians and to begin with the phrase: “I heard on Mark Levin’s show that you were going to vote for…” It is for this reason that so many of the DC Republican establishment tunes into his show, and while most won’t admit it, the fact is that they are well aware of Levin, and they feel his electoral influence. Politicians on the receiving end of his support love to hear the phrase “Levin surge” pronounced on their behalf, just as they cringe when they pop up on Levin’s radar for the sake of a well-deserved critique. They know they’re about to find their email and voice-mail full, and they’re going to get it both from Levin on the radio as well as from their constituents. What may make Levin the most compelling and influential of the talkers and political media figures is that he expresses his contempt for the malfeasance of politicians and parties in the context of legal concepts on which he daily refreshes his audience. Apart from this blog, and rare few like it, you will not often witness a discussion of the principles underlying our supreme law. Law can be a minefield as any layperson will know, but there’s something precious about the ability to breath life into the collection of words, explaining their meaning and the context in which they were formulated in a manner that both educates and engages listeners. Very often, listeners to Dr. Levin’s show evince a reverence for our republic’s charter that is both touching and sincere, but also ironic in light of how easily their alleged “betters” dispense with both its words and spirit inside the beltway. This kind of reformation movement isn’t religious, but its most ardent supporters would contend that while they may cling to their guns and their bibles, they haven’t turned-loose of their constitution either. Listening Tuesday evening, as Levin mentioned the effect he suspected his show might have on the national dialogue, I wondered aloud in response to my deaf computer screen as to just how many of the people I know are now loyal Levin listeners, and the truth is something staggering. I may live in rural Texas, where we tend to value liberty more than the average, but even friends from the distant large cities, in this state and out, all seem quite familiar with Levin’s show, his daily “lesson plans” frequently filling my morning inbox: “Did you hear what Mark [Levin] said last night?” There’s no denying he’s a bold and entertaining talk radio phenomenon, but more than this, he’s also the commander of constitutional defense headquarters on a national scale. 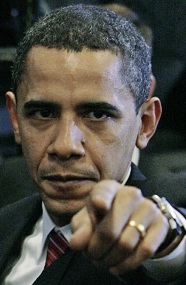 When people seek the low-down on the latest Obama executive usurpation, they tune to one show on the dial and in streams across the Internet, because for better or worse, they know they’ll find the answers. Dr. Levin can be heard Monday-Friday, 6-9pm Eastern, both on terrestrial radio and streaming from his site, as well as affiliates. If you miss the live show, he also offers free downloads of his podcasts here.